This week we’ve studied the practice of grounding/earthing which can have some major health benefits. You already know the benefits of getting out in nature, but have you tried doing it barefoot? I am mostly a barefoot girl around my house anyways, but getting outside more, taking off my shoes and feeling the earth beneath me has truly given me an energy that’s filled my body with good vibes. I’m sure some hormone was released to help me feel that way, but nonetheless, grounding is awesome and has done wonders for my mood. The earth has a magnetic energy all its own. As humans I believe we were always meant to connect with this energy. The sun gives us vitamin D and energy, water gives us life and therefore energy, why wouldn’t connecting with the earth do the same. 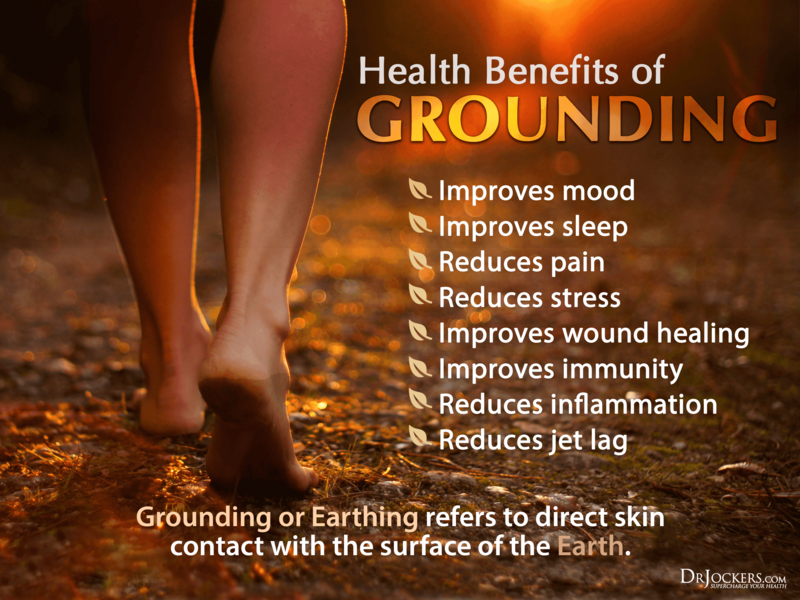 What are some of the benefits of grounding?.. Can’t I do that wearing shoes though?… Well, no. The rubber sole on your shoe is a barrier to the connection with the earth. What if it’s too cold outside?…You have two options…Stop grounding until it warms up, OR invest in some grounding equipment which you can use indoors HERE. Since I live in Arizona, I can pretty much practice grounding year round. Have you tried grounding/earthing as a routine practice in your life? I wanna hear about it. Post in the comments below.